In 2006, Clara’s passion for fragrance led her to write a book on “noses”. It was then that she met perfumer Aliénor Massenet whose olfactory sense takes on a more abstract approach. 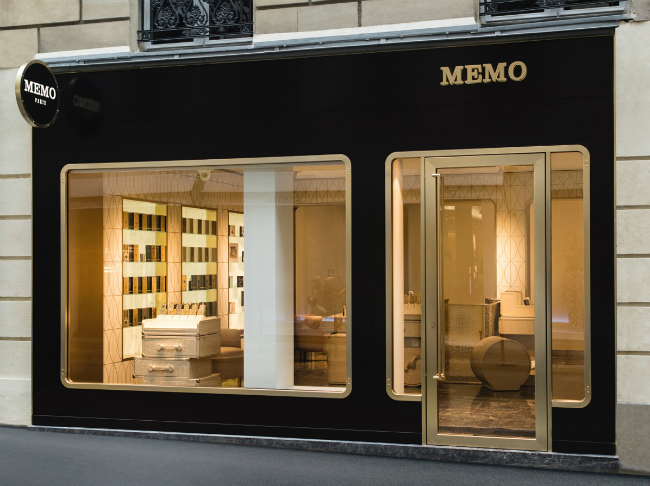 “I often think of perfume in terms of colors, shapes and materials, like architecture or painting.” It was in Paris in 2007 that they joined forces and the journey of Memo began. 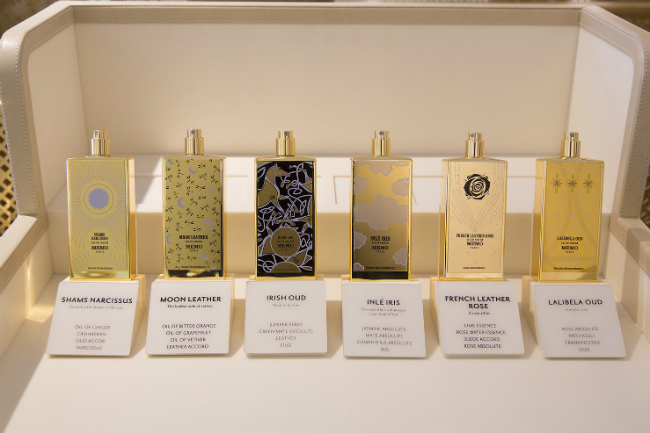 Les Echappées, meaning ‘the escapes’ is a collection of fragrances, each symbolizing a personal journey. From Lalibela, Ethiopia to Inlé Lake, Burma to Granada, Spain, every destination provokes a unique feeling, transporting you to a faraway land. 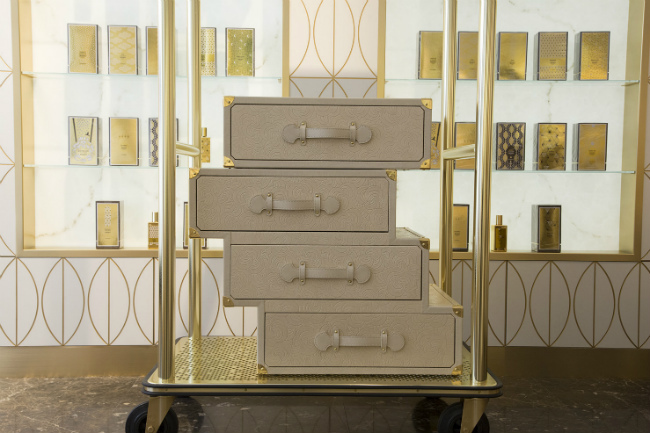 A visit to the flagship store, situated in Paris’s elegant 1st arrondissement, is a journey in itself. Here you can discover the world of Memo via your olfactory system. With a choice of 18 fragrances, you are certain to take flight with one of Memo’s evocative scents. Will it be Irish Leather with hints of juniper, green mate and leather, or Marfa, blending orange blossom, tuberose and white musk? Maybe you’d prefer to step into the Quartier Latin  with a refined mix of cedar, sandalwood and amber. 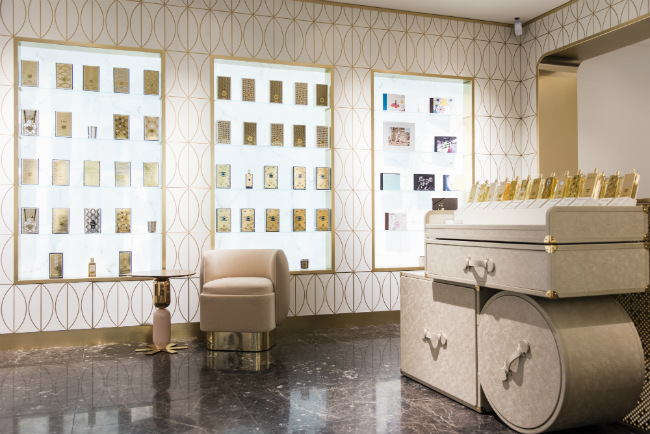 For their 10 year anniversary, Clara and John have returned to their roots with a fragrance conjuring up images of Paris, a city never far from their hearts. This light and airy scent contains notes of leather, a mark of the brand’s success and identity. Where will they take us next? As is their motto, “The journey is the destination”. Sign up to the free Bonjour Paris newsletter to get all the best Paris related content and competitions sent directly to your inbox. Find out more .